For many Vancouverites, this spot is a no-brainer for vacations - but for everyone who hasn't been here, you'll realize why it's so special the second you start your adventure up the Sea-To-Sky Highway. This is a prime year-round destination as you can find yourself on the mountain and in the backcountry in both summer and winter. Take the Sea-To-Sky highway or opt for quick scenic flight. Staying on trend with renting the hotels that I wish were my houses, I ended up staying at Evolution Whistler in the Creekside Village. Constantly rated in the top 10 hotels in Whistler, the property offers one, two and three bedroom apartments with full access to all amenities. For all those with doggos - this spot is pet friendly. Check it out. The theory behind hydrotherapy is that water has many properties that give it the ability to heal. Water can store and carry heat and energy + has a soothing, calming, and relaxing effect on people, whether in a bath, shower, spray etc. • 10-15 min of heat. Sit in the hot tub, sauna or steam room. • 10-15 sec of cold. Shock your system and breathe in the cold pools. • 10-15 min of relax. Hit the solarium and chill out on the beds/ chairs. I could honestly spend hours at this place. While I find the cold pools really uncomfortable, nothing really beats the feeling absolute bliss your body experiences when it’s cuddled up back in your robe in the solarium. • You can purchase access to the baths, or you can purchase a treatment and enjoy the baths afterwards. • No talking. This place is a silent sanctuary for everyone to enjoy in silence. Some of my favourite views can be found around the Whistler area. From Brandywine Falls to Wedgemount Glacier and all the trails and lakes in between - there are no shortages of trails around here. Reminder: the backcountry is no joke. Make sure you're prepared year-round with trail updates, proper gear and support systems. While it's always enticing to get that shot for social, you rarely see what's behind the scenes and required to get the shot. Be smart! Snowmobiles + Cabins + Pancakes = Heaven. I've done an adventure with Canadian Wilderness three times now and I can hands down say that this is one of my favourite things to do in Whistler. The Yukon Breakfast tour hands down is a must. Open to beginner riders, this tour rips through the remote backcountry of the Callaghan Valley to an incredible rustic cabin on Sproatt Mountain. You're welcomed to the smell of brewing coffee and a full breakfast cooked on an old fashioned wood stove, complimented by some of the best views on any day. Canadian Wilderness offers year-round adventure tours in the backcountry and on the mountain that leave daily from the Whistler Village. Feel like racing your friend through the mountains? This is your chance. This 3-hour adventure offered by The Adventure Group takes you on a wild ride. Starting from the Whistler Village, you'll bus out into the wilderness and suit up for a custom 4x4 drive up Rainbow Mountain to your first zipline. From there, you'll suite up to rip across mountain valleys and through old growth forests on four dual ziplines. 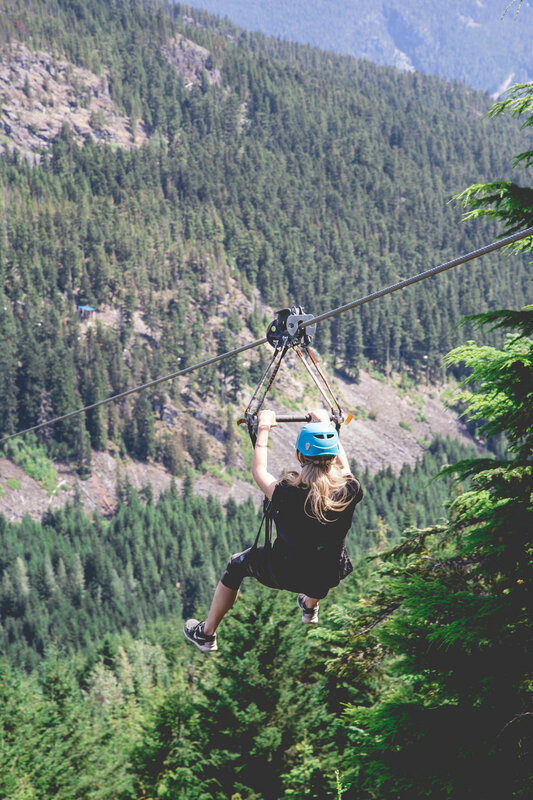 Highlighted by Canada’s longest ziplines at well over a kilometre long and 600 feet high, you will reach speeds up to 100 km/hour as you fly through the BC backcountry. This adventure is offered year round. Learn more. Ever felt like being an aggressive lumberjack? Me either. But I must admit, this place is a pretty fun indoor adventure for a Sunday afternoon. Drop in with a friend and go head to head on some axe throwing games. The crew will teach you all things safety and techniques to get you and your crew all set up for fun. 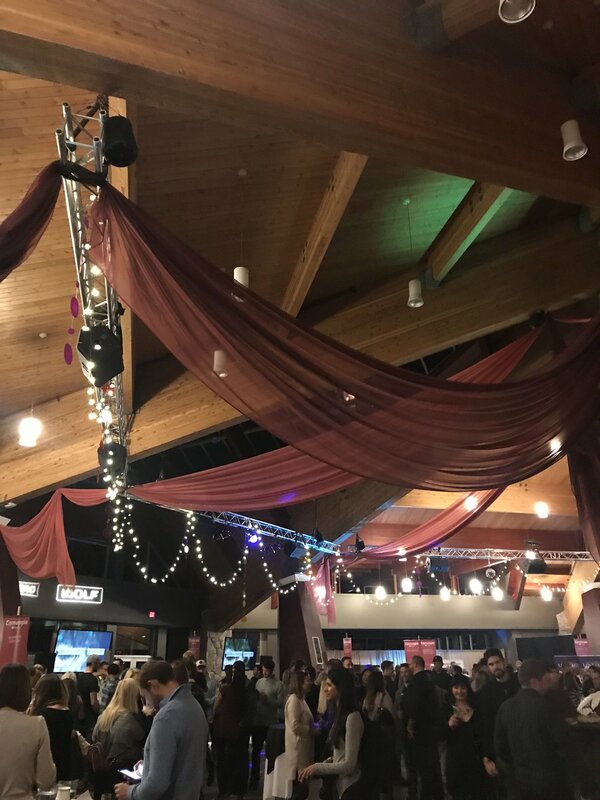 Check out Forged Axe Throwing! Every year, Whistler holds a huge celebration of food and drink over a span of a few weeks. "A place of culinary reckonings, where the wild meets the refined and the epic and the epicurious come together. Cultivate passion. Open wide. Let your tastebuds run wild." 2018 DATES: November 8-18. Tickets and info will be released here. I can't tell you how many times I've walked by this spot without going in. Huge mistake. 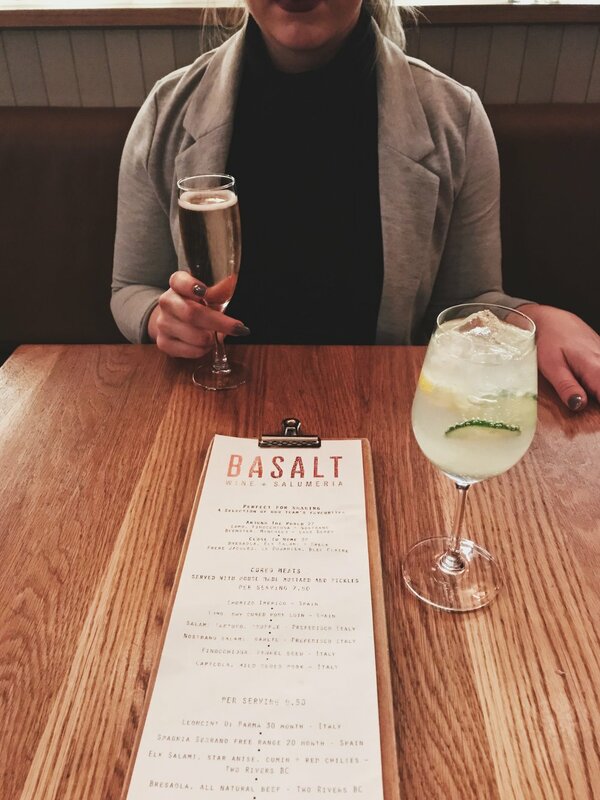 Located in the heart of the Whistler Village, Basalt is a wine bar, salumeria and restaurant offering artisanal food and featuring wine from both local and international regions. Add this spot to your list of "Whistler Musts". If you're looking for quick and healthy eats, this is your go-to spot that offers all organic food. For anyone who is also celiac or sensitive to dairy, this is an excellent spot for you to visit for a bite to eat. The menu offers juices, smoothies, full meals and desserts made of 100% whole foods. Photo via: The Green Moustache. A short drive outside of Whistler, you'll find Function Junction...and Camp Lifestyle + Coffee. Ever wanted to roast artisan marshmallows in the middle of your table? 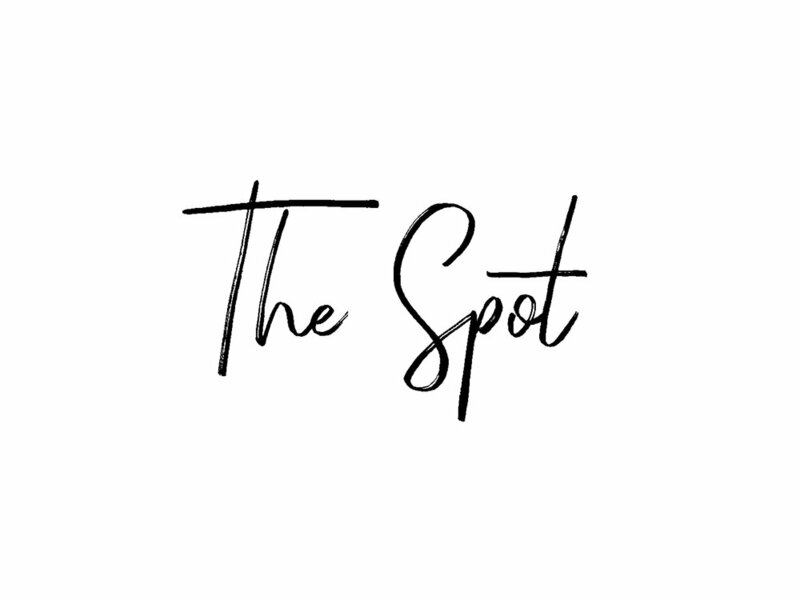 This is the spot. The coffee is fab, the hot chocolate is even better and the ambiance is probably one of my favourites as far as coffee shops give. Give yourself a bit of extra time to wander around as this spot offers great shopping!